Hello lovelies! I'm Briana from Royally Pink. I saw that Frannie needed some guest bloggers and couldn't wait to share some of my winter skin knowledge with you all :) I hope you enjoy it! It's no secret that during the winter months, your skin gets terribly dry. I know mine does. I've found it very difficult to deal with the dry skin issue during this time of the year. There are so many different products out there that preach to healing your skin but not all of them are truth tellers. I have discovered some hidden gems that do wonders for my skin--maybe you've heard of them and maybe you haven't. I've found that feet are most sensitive to dryness and are probably most difficult to treat. This contraption has been hiding out in my medicine cabinet for a while but I never used it...I was too afraid it would hurt but I was so wrong. 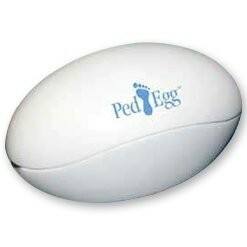 It doesn't hurt at all and takes away all the dead, dry skin on the bottom of your feet. It's like giving yourself an at home pedicure. Pair it with some foot lotion, whether it's GoldBond or Julep Maven, and you've rid yourself of dry feet! I've tried so many different lotions, drug store versions and some pricier ones, but they never seem to pan out for me. 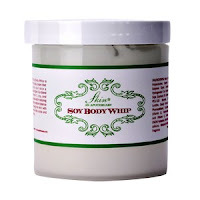 This lovely body whip has completely changed my life. I got a sample of it in one of my Birchboxes and have not been able to stop using it. It smells great which is only a plus side--this works fabulous! It's very light and airy, not heavy at all which is something I find troubling with body lotions. It cures my dry skin instantly and I barely have to reapply, it lasts forever. It's the perfect cure for short term dry skin during the bitter cold months. You've probably all seen these adorable, little, egg shaped lip balms in the beauty aisles of your local drug store and I'm advising you to pick one up next time you see them! This isn't a typical Chapstick, it's so much more. 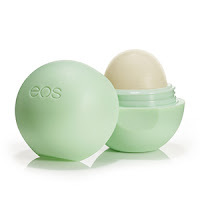 Lips are such a problem area when it comes to the cold; my lips usually get really itchy and sting a bit when they get really dry--Eos takes care of that immediately. It's an instant soothing sensation that moisturizes your lips. It's not heavy at all so you barely feel it; I usually apply Eos before I put on regular lipstick or lip-gloss also. There are a variety of different scents and it's pretty cheap for the quality you get. Dry skin is a little issue that can become a big problem so take care of your skin !